Born Asa Bukola Elemide on September 17, 1982, popularly known as Asa, is a Nigerian French singer, songwriter and recording artist. Asa is a versatile singer with musical genres of Pop, Jazz and Indie Pop. She is talented multi-instrumentalist; she plays guitar and trumpet. She has been a force to reckon with ever since she rose to fame in the Nigerian music industry with accolades to compliment. Lets get to know more about the amazing vocalist, Asa. Asa was born on September 17, 1982 in Paris to a Nigerian parents who were working and studying cinematography in France. At the age of two, her family returned to live in Nigeria. She was raised in the Western part of Nigeria, Lagos city to be precise. She also studied at the IMFP school of Jazz music. Asa music career took off at the age of 18 when she was in Paris. Her music influence grew over the years from the collection of great music her father had built up for his work as a cinematographer. She draws inspiration from the likes of Fela Kuti, King Sunny Ade, Diana Ross, Nina Simone, Marvin Gaye, Bob Marley and so on. Asa was first introduced to Cobhams Emmanuel Asuquo. She later got signed to Naive records who partnered with Cobhams to produce her self titled album “Asa”, She had also released her first song back in Nigeria titled “Eye Adaba”. She released her second studio album “Beautiful Imperfection” in October 2010. One of the lead singles “Be My Man” was released off the album in September 2010. Asa released her third studio album “Bed of Stone” in August 2014. The album produces hit singles like “Dead Again”, “Eyo”, “Satan Be Gone” and “The One That Never Comes”. 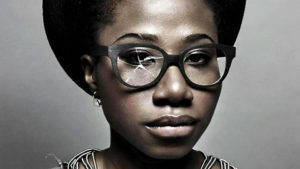 Asa has won numeorus awards such as French Constantin Award(2008) and French Music Awards Victoires de la Musique nomination for ‘Female Artist of the Year’. 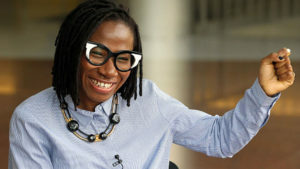 Asa who is yet to marry, has revealed that she lost her virginity at the age of 28. Asa is one of the amazing vocalist with an estimated net worth of $1 million dollars.